The year is 2016. Britta Arnold, space-girl, love child and musical jetsetter meets Unders, world-traveller, mad scientist and former Tin-Tin impersonator. It was here that two mirrors met, two ambitions joined and two styles merged to create what is now known as Britta Unders. Whether playing music to weekend ravers, swinging in the studio shaping emotions into sound, or casually planning their creative futures involving bus trips, mobile studios, remixes, releases and beyond, these kindred spirits are inhaling and exhaling each moment like the full moon does the tides. It’s natural. After their auspicious meeting at Britta’s Grrr Mit Brrr party in the magical country of Kater Blau on the banks of the river Spree, much was to happen for our spirited duo. In a matter of months, the chemistry between them had already created an EP for Katermukke, a remix for Jonas Saalbach on Einmusika and remixes for Nico Stojan & JAW, Be Svendson and Arman Miran. 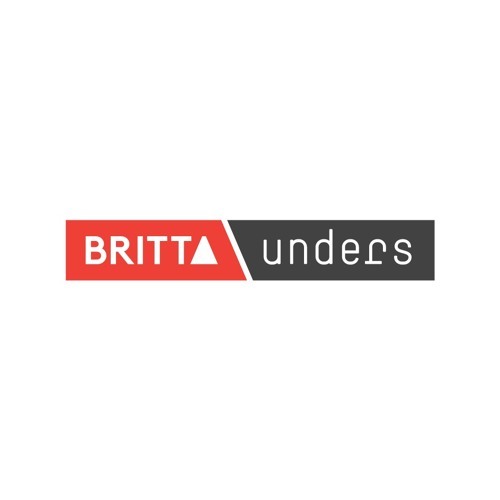 For Britta, who co-founded and managed the Bar 25 label, and Unders, with twenty years of experience in the electronic industry as both DJ, producer and promoter, this combined love of music, life and international globe-trotting created an unstoppable flow. Soon they were playing at some of the most reputable gatherings around the flat earth: Bachstelzen stage at Fusion Festival, Shoeless parties in Old Mokum, Woomoon in Ibiza — then Burning Man and New York through to South America, Africa and their home stomping grounds of Europe. Together, their productions and DJ sets are spacious, tripping, techy and transportive. But somewhere, there is also a bearded shaman in neon playing the Glockenspiel while channeling the spiritual music of the world. Simply put, this is the sound of an extremely bright future.